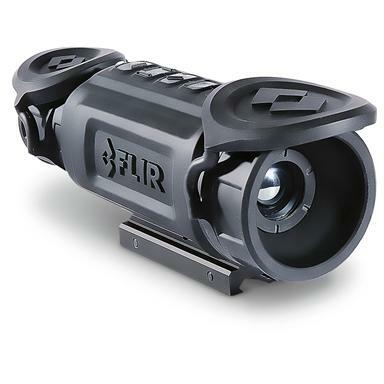 FLIR® Thermal Night Vision Tactical Rifle Scope. Night vision reaches the next level! New from the 2014 Shot Show comes a duo of tough, infrared Thermalsight Night Vision Scopes. 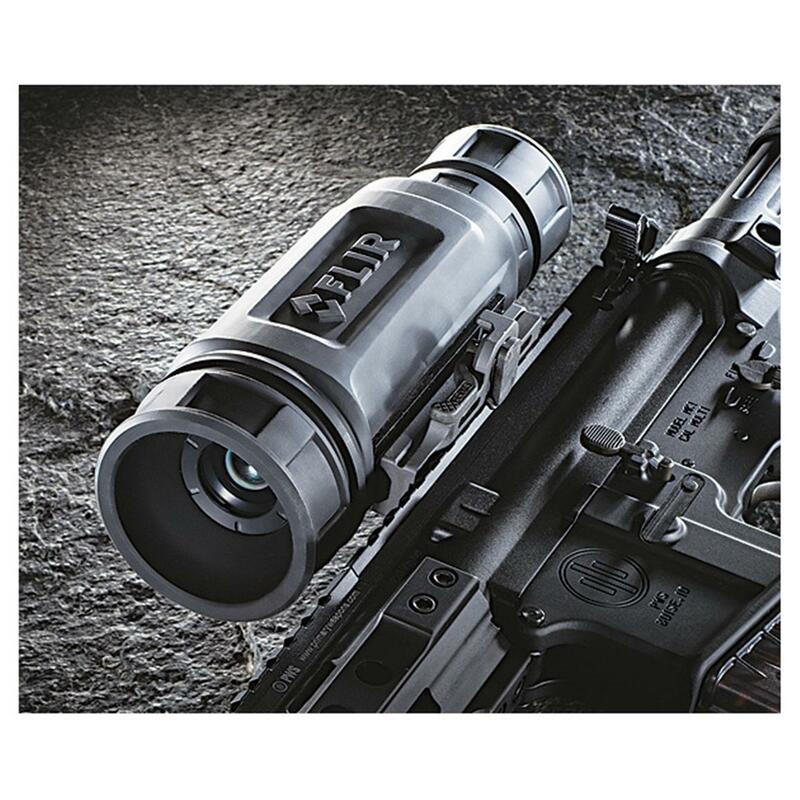 FLIR® has harnessed years of experience with military-grade weapon sights and brought it to the world of varmint and predator hunting. Effective in zero-light, infrared technology highlights an animal's body heat against cooler backgrounds without any illumination or assistance. It uses a unique lens system to provide proper eye-relief. The result: jaw-dropping night images and sure-fire animal detection in the darkness. Best of the best! 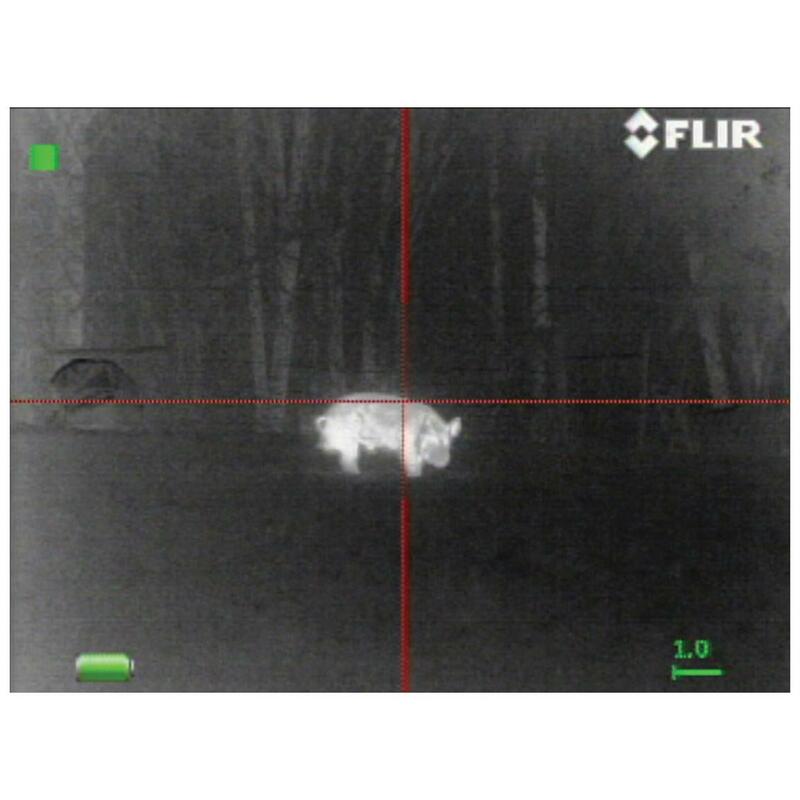 Designed for hunters looking to remove feral hogs, coyotes and other pesky varmints during after-dark applications. Designed for recoil of MSR semiautomatic up to .308 cal. Warranty: 2-yr. standard, 3-yr. with registration, 10-yr. on thermal detector. Measures 8" x 3" x 3"w, weighs 2 1/2 lbs. Please Note: The Department of State has classified these commodities as defense articles, as identified in Part 121.1 of the ITAR. They are therefore NOT authorized to export. And may only be purchased by a U.S. citizen or permanent resident.